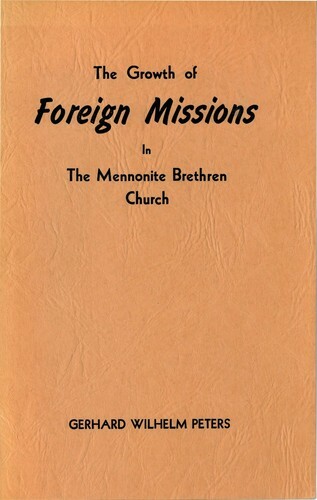 Are you sure you want to remove The Growth of Foreign Missions in The Mennonite Brethren Church from your list? 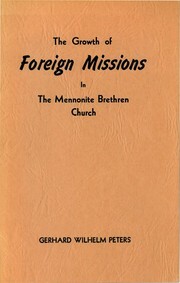 This book is an account of the origin and growth of the foreign mission work of the Mennonite Brethren Church until 1947. 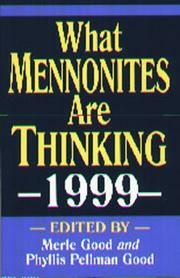 It was commissioned by the Board of Foreign Missions of the Mennonite Brethren Church of North America. 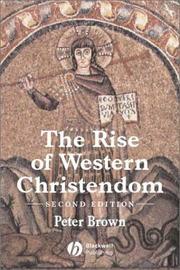 The book began as a doctoral dissertation written by Dr. Gerhard W. Peters, which he revised--at the request of the Board of Foreign Missions--to include two additional features in order to make the book more useful as a training manual for churches and schools. 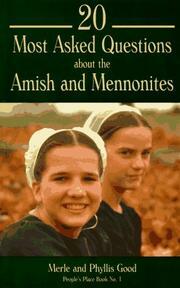 The two features were: a history of the origin and development of the Mennonite Brethren Church itself, and a background survey of the three primary Mennonite Brethren mission fields: India, China, and Congo. 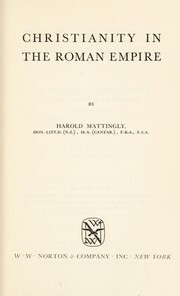 Both features were designed to give readers a better understanding of this particular missionary movement with its successes, challenges, and, at times, failures. July 19, 2017 Edited by Jon Isaak Edited without comment. July 18, 2017 Created by Jon Isaak Added new book.